This rose gold bracelet bangle will remind you to breathe amongst the humdrum of this busy world. Our lives are so busy and we can carry so much stress and worry with us. 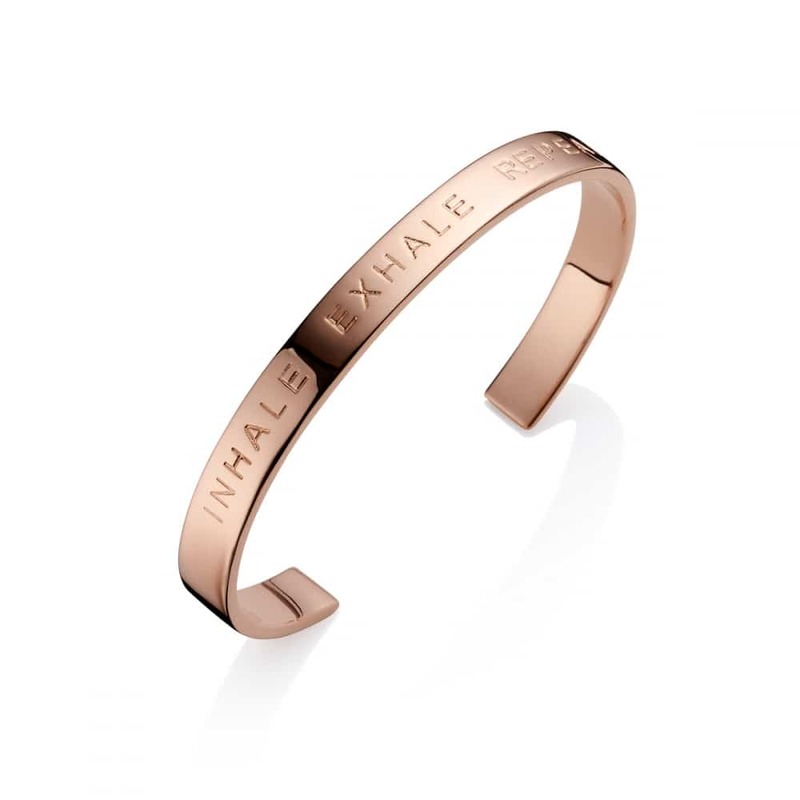 This is a gorgeous rose gold bangle with the words ‘Inhale Exhale Repeat’ engraved on it in a classic font. Perfect mantra to live by, and this bangle will remind us everyday as we go about our daily lives. This distinctive Rose gold bangle is smooth and easy to wear, so can be worn with any outfit. It is classic in design and will not become outdated or go out of style.